Baseball Hitting Leaders are considered the Kings on the Diamond in baseball. Power hitting home runs kings and going yard with that round tripper blast over the fence is what the crowds want to see. Major League Hitting Leaders and the Home Run Kings are and always will be the toast of the town. Speaking of being with or even in the same ballpark with the MLB Home Run Leaders will bring a sparkle to the eye of any young baseball fan. Home Run sluggers and the baseball hitting leaders home run record holders are not the only heroes of the game but you can bet your bottom dollar they are the ones with most of the press. 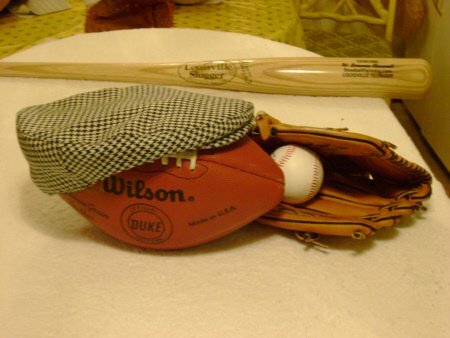 Jam up great pitchers are worth their salt and are the talk of the town by, dyed in the wool, real true baseball fans. A twenty game winner during any season is considered the top flight ace in the pitching business end of the game. The Creme-de-la Creme of the pitchers each year is chosen as the best in the game and is Awarded the "Cy Young" which is emblematic of being designated the best of their respective Leagues. The Cy Young award is given to the best of each the American League and the National League from the entire corps of pitchers in the two respective leagues. MLB recognizes players as being an All-Star super fielding player by awarding annually Golden Glove Awards for each fielding/defensive position of the game. Slick smooth sure handling fielders with strong arms fleet of foot sure handed scoop and shoot fielders are paid premium money as baseball leaders. The shortstop and second base and center field positions or what we refer to as down the middle of the field are the key spots requiring exceptional fielding skills and agility. Our Cy Young pitching award and Baseball Leaders for career pitching wins and our Gold Glove fielding award leaders are predominantly an annual recognition. The combined career records solely dedicated for these achievements carry not near the following of the Home Run career Leaders. Major League Baseball Pitching Leaders will be a matter for later for now we will Shuck Down The Corn extolling the heroics and identifying our Baseball Hitting Leaders. If the Home Run Hitter is the King then it has been and always will be the lingering question who is the King of the Diamond based on statistical data "Who Was Best Or Greatest Baseball Hitter?" One gent had pondered this question and his considered opinion and rationale as compiled shows some truth telling data for comparative reasoning and has allowed me to use his words and facts. In his words: People just won't turn this "Who was best?" question loose. A good leader such as a home run hitting leader must have the discipline to work toward his or her vision single-mindedly, as well as to direct his or her actions and those of the team toward the goal. Action is the mark of a leader. A leader does not suffer "analysis paralysis" but is always doing something in pursuit of the vision, inspiring others to do the same. Barry Bonds has hit the most home runs in his career of any player___past or present. But the thought crossed my mind: Does that actualy make him the best home run hitter? The most home runs and the best hitter of home runs are not the same thing. It just means that he played long enough to hit more than the other guys did. I was intriqued, and decided to do a little research. The following stats paint a different picture of who was actually the best home run hitter___that is, who could be counted on (more often than not) to hit a home run when he came to the plate. Babe Ruth hit a home run every 11.7 times he came to the plate. Bonds, on the other hand, hit one over the fence every 12.9 times at bat, and he came up to bat (1,365) more times than Ruth. Hank Aaron came up to bat (3996) more times than Ruth and only hit a homer every 16.3 times. Clearly it is no contest: The best home run hitter is and probably always will be George Herman "Babe" Ruth. He hit the most home runs with the fewest times at bat. It took these other good players several thousand more tries to catch him. And that was using today's tighter-wound precision ball, which by the way, is replaced with a new one every time it gets hit during a game. It should be noted that like Bonds, Ruth had a habit that may have helped him____or not. Instead of steroids, he often showed up for the game badly hung over from the night before. I wonder how good he might have been if he had trained hard, remained sober, kept his weight under control, and had the benefit of muscle-building drugs. These are the heroes of baseball hitting leaders who have thrilled the crowds on many and certainly more than one occasion. 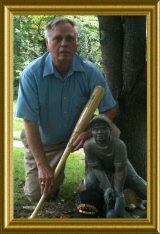 Baseball fans around the world as you reflect on the Baseball Greats as measured by hitting the home run ball take a moment to realize it takes by most standards almost and entire lifetime playing the game to aclaim a spot within the top 25. A complete career goes into the making of these baseball hitting heroes. Barry Bonds holds the Major League Baseball home run record with 762. He passed Hank Aaron, who holds the second spot with 755, on August 7, 2007. There is only one other player to have hit 700 or more and that is the Great Bambino "Babe Ruth" with 714. Jimmy Rollins...Phillies shortstop is a man with a mission starting of the 2006 season. Rollins finished the 2005 season with a .385 batting average but that's only part of the story. His season-ending 36-game hitting streak is 21 games short of Joltin' Joe's 56 consecutive game streak during the 1941 season that still stands. #Wee Willie Keeler and Pete Rose share single season for NL Wee Willie got a hit in the final game of 1896. This 45 games overall streak is the first record Rollins must over come for recognition as one of baseball hitting leaders. Come on batter up 2006 Let's Play. Well ! baseball fans Jimmy Rollins consecutive game hit string has been snapped in the 38th game. His valiant hope for catching and surpassing Joltin Joe Dimaggio's record of 56 games has fallen short. Willie Keeler and Pete Rose record of 44 consecutive game hitting streak as baseball hitting leaders in the National League also remains intact as records. Come on Jimmy don't look back the future is straight ahead with a few curves to contend with. Never say die! Come on let's go. Jimmy Rollins and his quest to better Joltin Joe's record just adds fuel to the fire for baseball hitting leaders fanfare around the World. Return to the Top of the Page Baseball Hitting Leaders. Baseball Hitting Leaders is what draws the fans and crowds to the games. Learn well the real and true essential elements of Baseball Hitting. Website Hosting considered to be at the top in the field will lead to Web-Building Success.Solo Build It provides Awesome results...Here's the Proof!